In the morning there will be an exhibition opening of the outstanding work of one of Australia’s most gifted illustrators and storytellers, Mark Wilson. Entitled “Stories of Life, History & Nature~ told through the picture books of Mark Wilson”, you will be both amazed and moved by Mark’s beautiful illustrations. From sea turtles to thylacines… and endangered forests to convict settlements, you will learn much about Mark’s passions in life. This will be followed by the exciting launch of Mark’s latest picture book, “Never Lose Hope~ the story of Australia’s First School.”Award winning and much loved author Corinne Fenton will launch Mark’s book. In the afternoon, Dromkeen will be offering author/illustrator workshops suitable for all ages, by 3 of Australia’s best, Mark Wilson, Marc McBride and Corinne Fenton. ** Please note, visitors will require a ticket to attend the afternoon workshops which will be run 3 times to enable everyone to attend all 3 sessions. This exciting event will be suitable for children, teachers, librarians, families and all children’s book enthusiasts. There will be book sales & signings as well a range of original and limited edition prints for purchase. 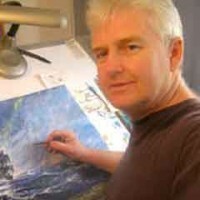 Mark Wilson is one of our most successful and popular author/ illustrators of children’s books. His awards include two Wilderness Society Awards, two Whitley Awards and five CBCA Notable Picture Book awards. His books include Beth the Story of a Child Convict, The Afghanistan Pup, Digger the Dog Who Went to War, The Horse Soldier, Journey of the Sea Turtle and The Last Tree. Session Title: Illustrating picture-books the easy way! Audience Age: All ages (parents and children) . Details: Sessions start with a presentation & Q & A – everyone has a story to tell! We discuss conservation (The Last tree, Migaloo) and Australian history (Beth) and (Never Lose Hope), then we draw, draw, draw!!!!! This workshop encourages students to have confidence in their own writing and illustrating with some easy exercises, including ‘Warm-ups’, ‘Simple Illustrations’ and ‘Telling the Whole Story’ in your illustrations! Marc McBride is the illustrator of Emily Rodda’s best selling Deltora Quest series, which has sold over eighteen million copies. He has illustrated more than one hundred and fifty book covers, ten picture books, countless magazines and has had work exhibited with the New York Society of Illustrators. 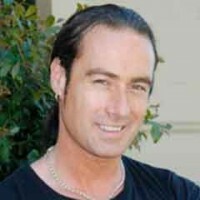 In 2001, along with Emily Rodda, he won the Aurealis Award for Deltora Quest series and The Deltora Book of Monsters (2001). In 2007 he wrote and illustrated World of Monsters, which also won the Aurealis award. Marc’s other work includes The Kraken (2001), Old Ridley (2002) and Journey From the Centre of the Earth (2003). His Deltora Quest picture books are Tales of Deltora, 2005, The Deltora Journal 2001 and Secrets of Deltora in 2009. More recently he has published five How to Draw books through Scholastic Australia. His current project, a 350 page graphic novel, will have taken him seven years to write and illustrate when it is finally released in 2018. During my presentation I paint a dragon as I teach the students about visual literacy. I explain colour theory – how opposite colours can combine to give focus to a picture, and how fading colours can make objects recede. I encourage the students to use their imagination to help with the painting. They decide on the character’s design, working out how to make a dragon look friendly or scary (it’s all in the eyes.) I ask them to visualize where the dragon lives, and show them how the lighting and shadows can create different moods. Many children love to draw – for a few it’s something they don’t feel confident about – but every child has an imagination waiting to be unlocked. Using simple shapes I encourage children to draw with me and to ‘not be afraid of making mistakes’- after-all it is often a mistake in a drawing that becomes the inspiration for something truly original! 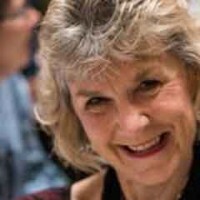 Her award-winning books include:Queenie: One Elephant’s Story, The Dog on the Tuckerbox and Bob the Railway Dog. Her titles Little Dog and the Christmas Wish and One Christmas Eve, were chosen as themes for the Myer Christmas Windows and will appear again this Christmas in Geelong and Wagga Wagga. Latest releases are My Friend Tertius, the true story of a man and his best friend, who just happens to be a gibbon and Little Dog and the Summer Holiday – so Little Dog is back! I plan to talk about how my stories begin and why I believe that finding the right word for the right place is the most important thing. Whether the stories are true or totally made up out of my head, they always involve lots of research. I’ll talk mainly about my two latest titles My Friend Tertius and Little Dog and the Summer Holiday but I’m happy to answer questions about any of my books including the Myer Windows books. If time permits and participants wish to write, we’ll do a quick spot of creative writing. There will be cold drinks, coffee, muffins, biscuits and fresh fruit for sale on the day. Visitors are also able to bring their own lunch and to picnic on the lawns. The day’s activities will be mostly indoors, however if you are intending to stay for the afternoon and will be having a picnic on the lawns, we encourage suitable outdoor attire including a hat for all visitors. Both the homestead and the Garden Conference rooms have disability access. The disability access toilet is in the Garden Conference room at the back of the homestead. There will be stocks of books for sale by all the authors and illustrators presenting on the day of the festival. There will also be original art & print sales on the day.